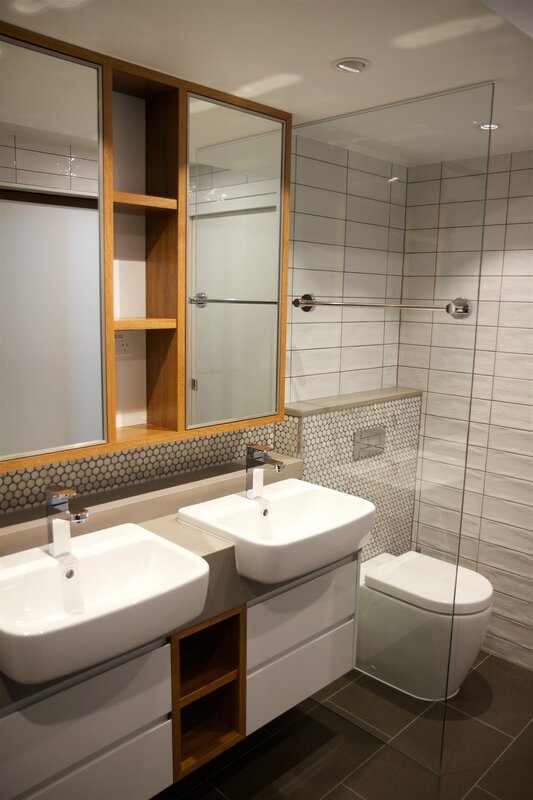 It was a pleasure working with Guymer Bailey again on this finely detailed bathroom renovation in a residence in The Gap. 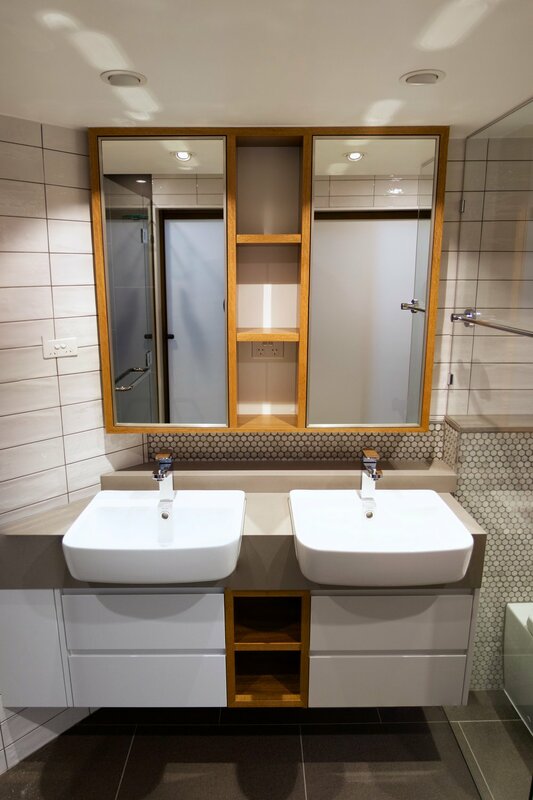 The project was completed with Petro Builders attention to detail fitting for a design and material palette of this quality. 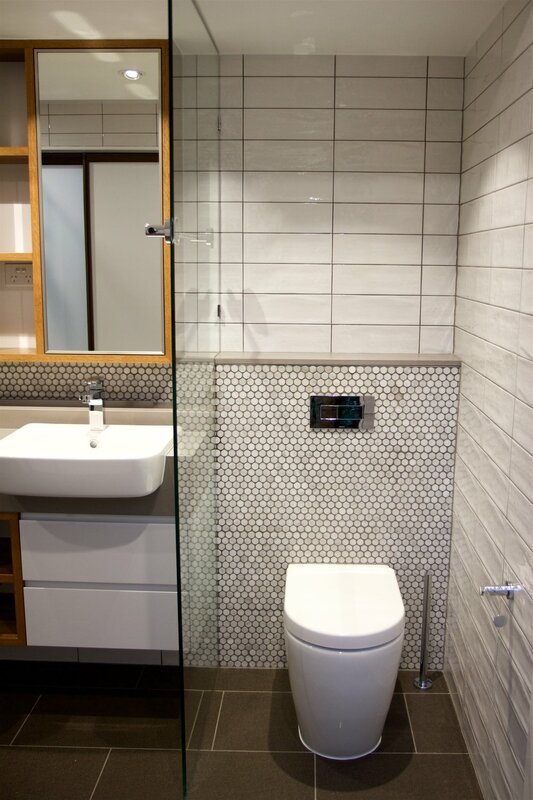 Penny Round Mosaic feature tiles line the concealed cistern and vanity splashback, complemented by textured Belvedere White Gloss wall tiles. Elborne’s Cabinet Making produced a finely crafted vanity and mirror cabinet that form the central feature to the bathroom.